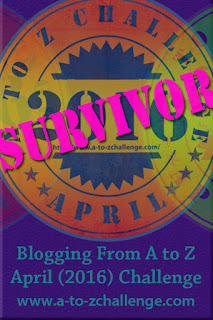 So, my chosen theme for the A to Z blog challenge is…. drum roll… fanfare…. Castles. Was that an anti-climax? It could easily have been cathedrals. I’m not an architect, nor a historian, but I love impressive old buildings. I’m in awe of the manpower and ingenuity that went into building such vast structures at a time when modern cement, diggers and cranes weren’t available. They represent an epoch when time wasn’t measured by a clock face, but by the passing of the sun and seasons. These day, we’d build such things to a strict timetable with lengthy project plans discussed in long meetings. Back then, war dictated the speed of construction and wealth, too. The more power, the more men employed. Each castle built tells a story. It represents a piece of history. When I visit one, I’m not just drinking in the scale, but also the reason why it’s there. Who lived in its walls and why. Romance has brought the age of the medieval castle into a new arena. The chivalrous knights, the roguish anti-hero who stormed their walls to rescue fair maidens, dragons who breathed fire on the ramparts and dungeons where the poor and downtrodden were tossed without trial. It’s all such fantastic fodder for writing. I’ve picked a few castles – all based in the UK – to illustrate what makes me drawn to them and I’ve added a little fiction to each one. Sometimes a sentence, sometimes a poem or tiny story. I hope you’ll come back on the 1st of April and join me. I love castles! I’ll definitely follow you through the challenge :). I love your theme. Look forward to coming back in April and reading your posts. I am gradually working my way round all of the cathedrals in England making sure hear their choir in each of them! As soon as the weather sorts itself out I’ll be off with little tent to carry on where I left off last year. If you come to Pevensey Castle, wave to me! I might do cathedrals next year… if I survive this one! Never been to Pevensey Castle, I think the closest I’ve got to Pevensey is Leeds Castle. I love your castle theme! I’ll be following…. I’m along for the ride. I mean, castles? How can I ever resist that? I certainly find them irresistible. Please join me for the ride. Hi! Coming to you from A to Z. I love castles! I can’t wait to see what you do! Love the romance and mystic of them. I write contemporary stuff, but I love historical and fantasy so this is right across my mote. LOL. I’m a big fan of historical fiction. History in general. I shall climb my motte and wave to you. See you in April too. My wife and I are booked on a balloon ride over he Loire Valley in June. Lots of castles there. Your A-Z should set the mood. A balloon ride of the Loire sounds amazing. I don’t think I can top that with a post. Thank you. I shall try to conjure up some magical posts. Thank you. Good luck with yours. I love castles! I can’t wait to see which ones you choose! Great theme! I’ve tried to pick a variety, so I hope they’ll keep readers interested. I just checked our your A to Z from last year and find a lot of great stuff there. See you around A to Z! Thank you. Very kind of you to comment on last’s year. What a lovely theme. Castles are awesome – I always get the itch to write when I visit one. I look forward to your posts. Yes, I get that itch too! I love castles. Great theme. Not an architect or historian either, and I too love grand old buildings. Castles is a very unique and appealing theme. I will be back in April. Castles! What an interesting idea! See you in April! Very interesting theme and one I don’t remember seeing before in the A/Z challenge and this will be my 4th year. Amazing you could come up with all the letters for the alphabet with using castles as a theme! Enjoy! This is a unique theme. I haven’t encountered any other blogs with this theme. I happen to be living in the UK right now and castles are a huge interest of mine. How exciting! I hope there are a few in my neck of the woods here!